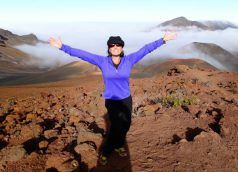 As an adventurer with many good times as well as good stories of misadventures under my belt, I wanted to share with you five tried and true secrets to happiness for adventurers. The happy campers get all the notoriety, but not any longer. Move on over; it’s time for the Happy Adventurers. 1. Do a.